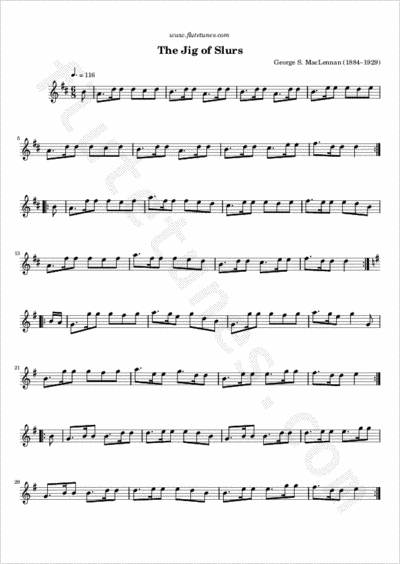 This classic Scottish tune is probably the best known composition of George ‘G.S’ McLennan, an Aberdeen piper regarded by many as the greatest composer of ‘light’ music on the Highland bagpipes in the 20th century. Composed in 1910, the tune has been a staple of Scottish music sessions, and many Irish as well, so much so that it occasionally has been called, with just a little derision, the “Jar of Slugs”. It is often paired in sessions with “The Atholl Highlanders”.